While not all women who lose one or both breasts to cancer or another condition feel the desire to have breast reconstructive surgery, many do. Every woman should decide what is right for her and not feel pressured to conform to anyone else’s ideal or standard. The very real emotional component of cancer recovery and breast reconstruction must also be carefully considered. All of the physicians at Wilmington Plastic Surgery have compassionately performed reconstructive breast surgery on a multitude of women. All of our surgeons have excellent reputations for exceptional care in this regard, and Dr. Kays has even been recognized with a Silent Angel Award for work in this arena. For women who do opt for breast reconstruction, implant surgery can restore the body image they had before the traumatic illness, and often dramatically improve self-confidence and quality of life. The procedure does produce relatively natural-looking results, patients should be aware that reconstructed breasts do not look or feel exactly the same as the breast that was removed. There are also procedures that utilize the patient’s own tissue to reconstruct the breast.  Called autologous reconstruction, these procedures may be offered as alternatives for women who do not want breast implants.